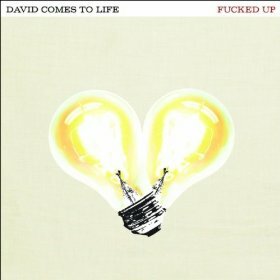 David Comes to Life is a pulsating, in-your-face punk album. For fans of Face Off, Bad Religion or NOFX, this album might be your new favorite. “Queen of Hearts” is loud and doesn’t stop. The lyrics are in your face, like “realizing that life is a waster” and don’t stop for a second. This track is lyrical assault but somehow, you’ll be bouncing on your feet the whole way. “Inside a Frame” starts with call-and-response guitar chords. A little vibration and a single bass line follow suit. Suddenly, the track is in your face again. Little breaks like the start of the track are what make this album special. It isn’t just another punk album with attitude galore. Instead, there are admirable elements like the musicianship behind each song. “The Other Shoe” is perhaps the most “rock” likening on the album, but don’t let that fool you: after the intro, the track is straight up power. The longest song on the album is “Remember My Name.” The track is arguably the quietest track on the album, but still brings the punch that make this album punch. If you’re looking for your next favorite punk band, don’t look any further.